*Dockside tours are $5 donation. Sailing tickets are $55 a head. 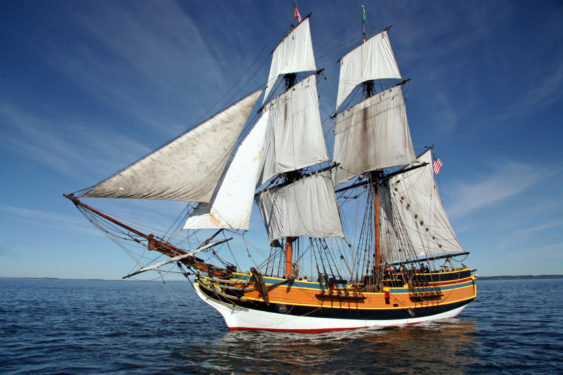 The Tall Ships Lady Washington and Hawaiian Chieftain, official ambassadors of Washington State, will visit Redwood City and offer exciting Adventure Sails, Battle Sails and Vessel Tours from the dock. Vessel Tours open the ships to the public for a suggested donation of $5 per person. Come check out the ship and meet her crew. Check the Public Sail Schedule to see which ships will be docked at your nearest port. Dockside tours are offered for a $5 suggested donation. Schedules and ships are subject to change, so always check the schedule first before heading out or call 1-800-200-5239 to confirm tour dates. Maritime history comes to life aboard the Lady Washington and Hawaiian Chieftain, the two historic vessel recreations from Grays Harbor Historical Seaport Authority, an educational non-profit sailing up and down the West Coast to introduce the public to these amazing time capsules. Crews typically are on hand in period costume to answer questions and tell stories. Hawaiian Chieftain has a fascinating history originating in Hawaii. She’s a swift topsail ketch that has visited Tahiti, the Atlantic Ocean, and once sailed out of Sausalito, Calif.